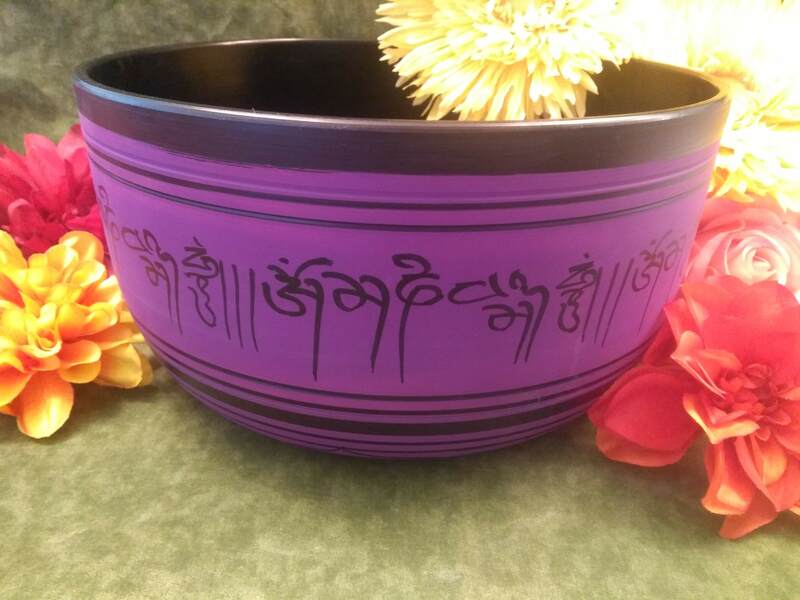 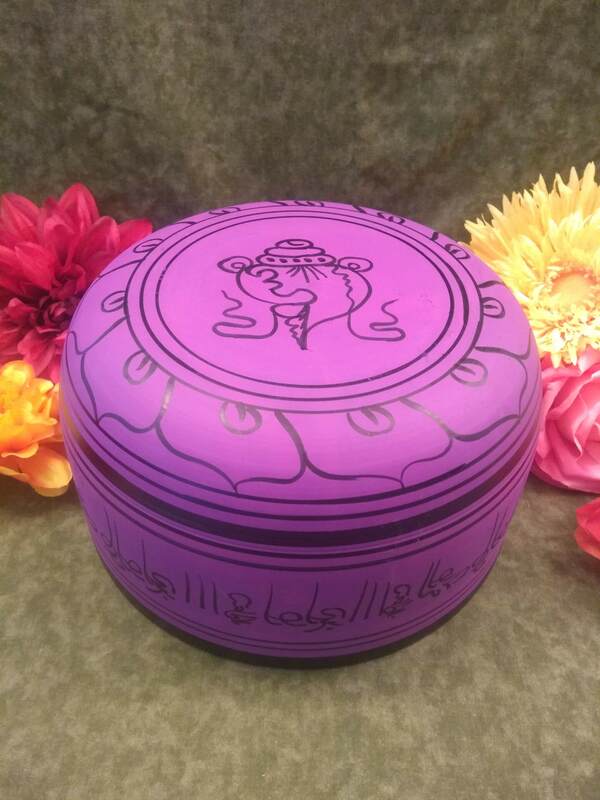 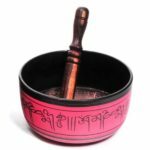 Colorful black and purple aluminum singing bowl with the mantra “Om Mani Padme Hum” around the outside. 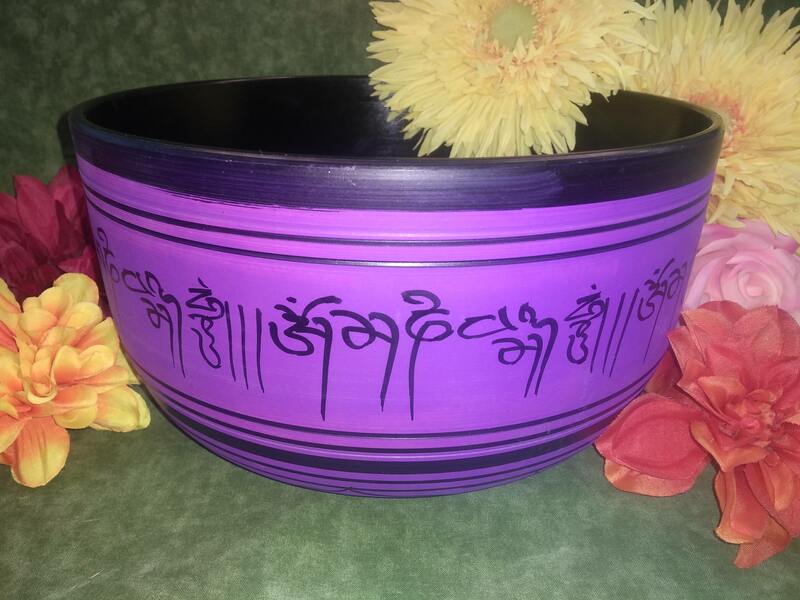 Five engraved light purple Buddhas surrounding a lotus grace the inside. 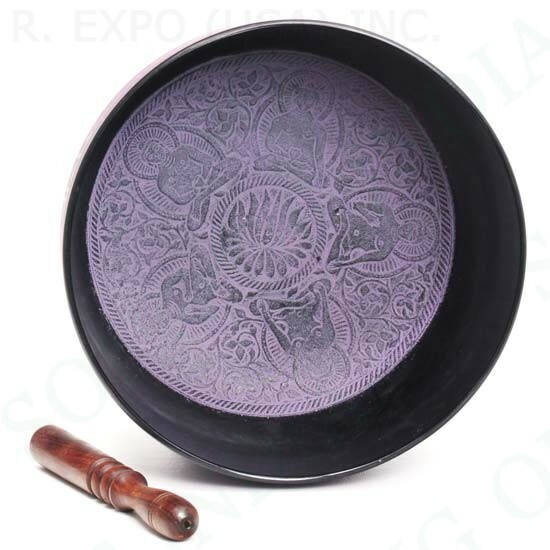 Complete with a wooden mallet (may vary from one pictured). 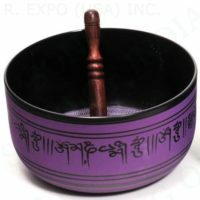 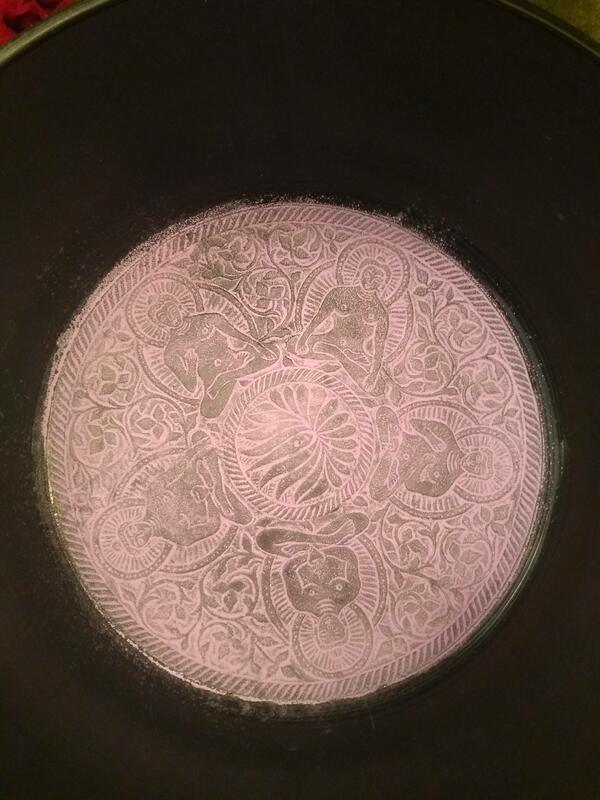 These bowls tend to have deeper tones and weigh an average of 4 lbs each. 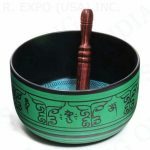 Two bowls are currently in stock and may not be available after these are sold.